LARAMIE, Wyoming, April 25, 2016. 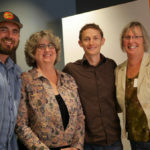 The Local Crowd (www.thelocalcrowd.com), a locally-focused crowdfunding platform, has selected four rural communities to serve as Demonstration Sites for a USDA funded research project. The Local Crowd’s platform offers features and educational programs designed to help rural communities activate entrepreneurial ecosystems and spur local investment. The two-year USDA Small Business Innovation Research grant will support the launch of up to 30 Demonstration Sites, with the ultimate goal of commercializing a new tool that provides better access to capital for businesses and organizations across rural America. The first four communities selected to be Demonstration Sites are: Bozeman, Montana; Laramie, Wyoming; Sedgwick County, Colorado and Teton Valley, Idaho. The Demonstration Site communities recently began a nine-week online training program last week to orient them to the crowdfunding software and support successful implementation of the platform. The target date for launch within each of the communities is late summer. The Local Crowd is uses crowdfunding technology developed by Community Funded of Fort Collins, Colorado. The Local Crowd plans to issue another Request For Proposals this summer inviting additional communities to apply to become Demonstration Sites. A downloadable a sample Request for Proposals is available at www.thelocalcrowd.com. 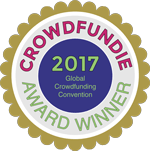 The Local Crowd (www.thelocalcrowd.com) combines crowdfunding technology with the Spirit of Community and the power of local investing to catalyze communities that invest in themselves.